Description Washington, U. S. Govt. print. off., 1937. iv, 817 p. incl. tables 24 cm. Subjects : United States - Claims vs. Turkey. | Turkey - Claims vs. United States. 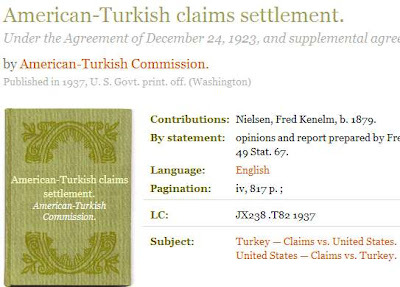 You are the owner of American-Turkish Claims Settlement Under 1923 Agreement Part 1 of 2. 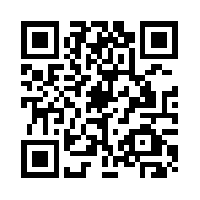 Mentioned document's specific download locations may change anytime. 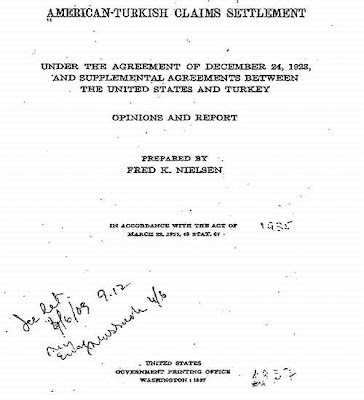 So you need to visit http://armenians-1915.blogspot.com/2009/12/2983-free-ebook-american-turkish-claims.html to download the documents free of charge.